How stars form is still a vexing question in astronomy. "Much of the light we get from the universe comes from stars, and yet we still don't understand many aspects of how stars form," said team member Elena Sabbi of the Space Telescope Science Institute in Baltimore, Maryland. "This is even key to our existence—we know life wouldn't be here if we didn't have a star around." 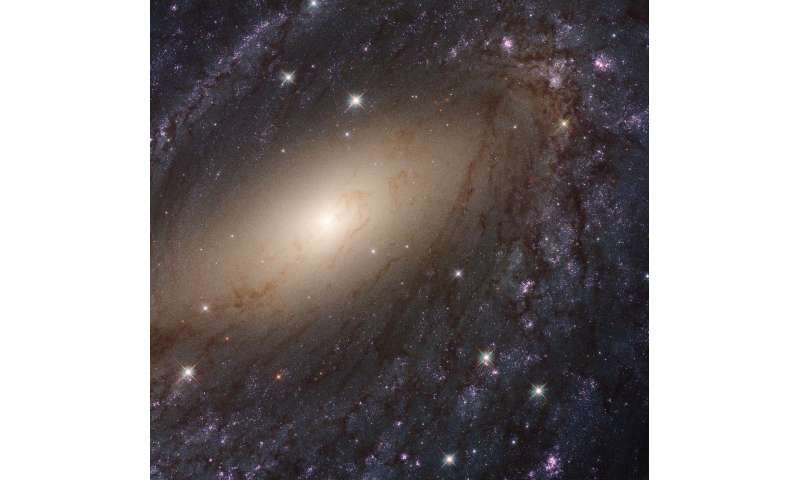 "When we look at a spiral galaxy, we usually don't just see a random distribution of stars," Calzetti said. "It's a very orderly structure, whether it's spiral arms or rings, and that's particularly true with the youngest stellar populations. On the other hand, there are multiple competing theories to connect the individual stars in individual star clusters to these ordered structures. 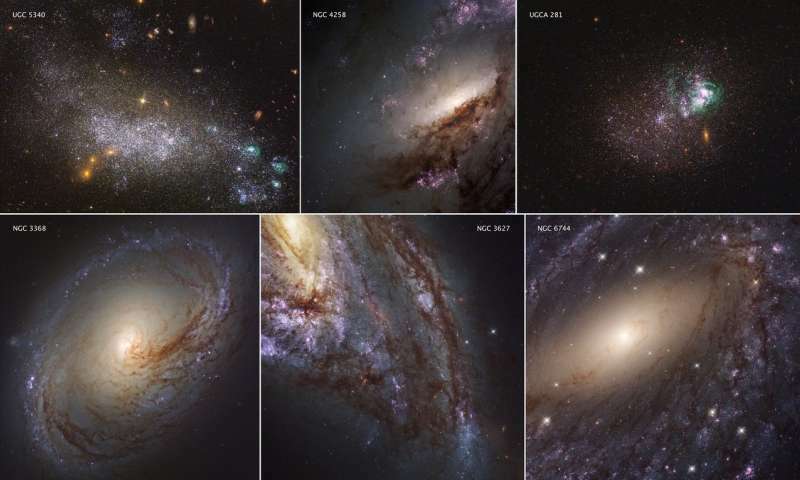 "By seeing galaxies in very fine detail—the star clusters—while also showing the connection to the larger structures, we are trying to identify the physical parameters underlying this ordering of stellar populations within galaxies. 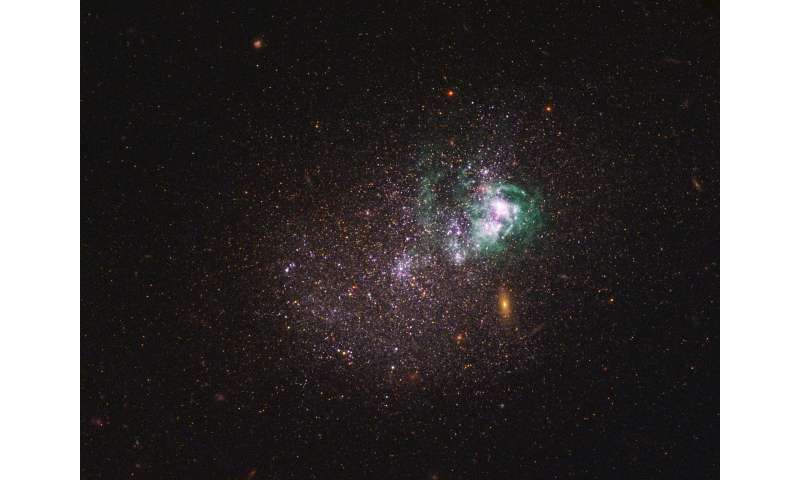 Getting the final link between gas and star formation is key for understanding galaxy evolution."